How Do I Get the Sportsbetting.ag Casino Bonus? What are the Rules of the Welcome Bonus? How Do I Use the $25 Free Play? What Are the Rules of the $25 Free Play? How Does the 10% Casino Rebate Work? What Are the Rules of the 10% Casino Rebate? Sportsbetting.ag is an all-in-one online gambling destination that has a wealth of casino games for Americans to enjoy. When you decide to play here, you’ll be able to partake in a 100% up to $3,000 bonus, redeemable up to 3 times with the promo codes CASINO1, CASINO2, CASINO3, a $25 free play for the live casino games and a weekly 10% rebate on your casino losses. You can claim all three of these offers, maximizing your chances of scoring a big win! Click here to go to the Sportsbetting.ag casino! You must deposit a minimum of $25 to qualify for the casino bonus. You may then redeem the promotional codes CASINO2 and CASINO3 on your subsequent deposits for additional bonuses of up to $1,000 each, for a total of $3,000 in casino bonuses. Before requesting any payout from your account, you must fulfill a wagering requirement of 40 times the value of your deposit added to your bonus. So if you max out the bonus money at $1,000 by funding your account with $1,000, then you would have to place bets totaling ($1,000 + $1,000) * 40 = $80,000 before initiating a cashout. This restriction remains in place even if you should happen to lose all your bonus money before completing the playthrough obligations. Note that you do not have to lose $80,000 obviously, you just have to play that amount. If you end up breaking even after playing the requirement of $80,000, then the bonus cash of $1,000 is yours plus any winnings, all of which can then be withdrawn. The casino bonus itself is CASHABLE, so you can actually withdraw those bonus dollars once the rollover requirement is met. Then make a bet of at least $25. If you win, then congratulations; you have no need to request a rebate. If, on the other hand, you lose, then send an email to casino@sportsbetting.ag within 24 hours. 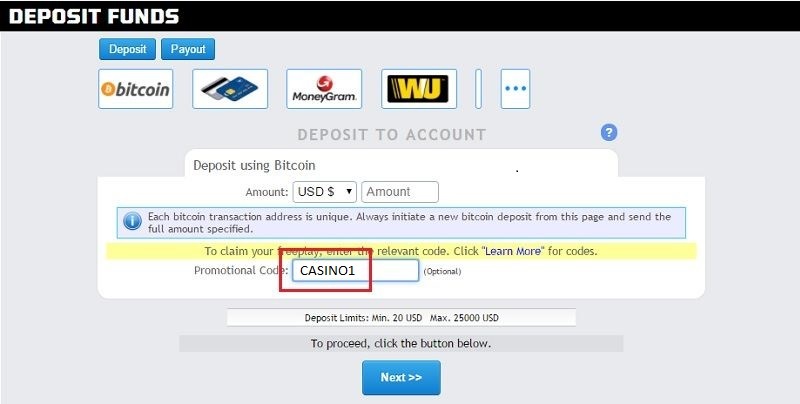 Include your account number and the ticket number of the game round within the body of your message, and put “$25 Live Dealer casino bet” in the subject line. Within 48 hours, the $25 free play will be credited to your account. Note that in the event that your wager was for an amount in excess of $25, you’ll only get $25 as a free play. The Live Dealer Casino $25 Free Play refund can only be used in the sportsbook and racebook. It’s subject to a 6x rollover restriction, so you’ll have to play through $150 before making a withdrawal. You must use up the free play funds within three months or else the unredeemed portion will be removed from your account. If you lose $100 or more in the casino during a single week (starting midnight Monday), then you may be eligible for a 10% rebate. Your balance must be at $0 to do so, and the amount of your loss is calculated based on your true losses during the week, excluding bonus money lost or money won in the casino and then later lost back to the house. Email casino@sportsbetting.ag to request your rebate. Rebates must be asked for during the appropriate week or else they’re forfeit for that week. The maximum possible rebate is $1,000. You must use your rebate within three months; otherwise, the remaining unused portion will expire. In order to receive a 10% rebate payment, all wagering requirements from previous bonuses must already be completed. Sportsbetting.ag is ready to show you a slot machine you can’t refuse! in this five-reel, all-ways video slot, you’ll try to grab the cash, art treasures and fine cigars to increase your winnings. Who knows where this merchandise came from? Maybe it fell off the back of a truck. Yeah, that’s the ticket. Match three Fat Tony, Frankie (Knuckles) or Snake Eyes Sammy icons to trigger the bonus game. There’s actually a Skill Games section of the casino that lets you pit your abilities against those of other human players. Gin Rummy is one of the competitions you can engage in along with Dominos, Yahtzee and several other games. You get to choose how much money you want to play for, and then whomever triumphs will claim the pot. You get seven cards to make a poker hand of five cards and another hand of just two. The dealer does the same, and then you see whose hands are better. It’s not uncommon for one of your hands to beat the dealer’s while one of his trumps yours, leading to a push. Pai Gow is a fine way to spend some time gambling without losing everything right away. Sportsbetting.ag conducts its transactions using a variety of methods. We counsel all our readers to investigate the potential of using Bitcoin to fund their account. It takes a bit of time to get set up, but then after that, it’s a breeze to use, and fees are low. 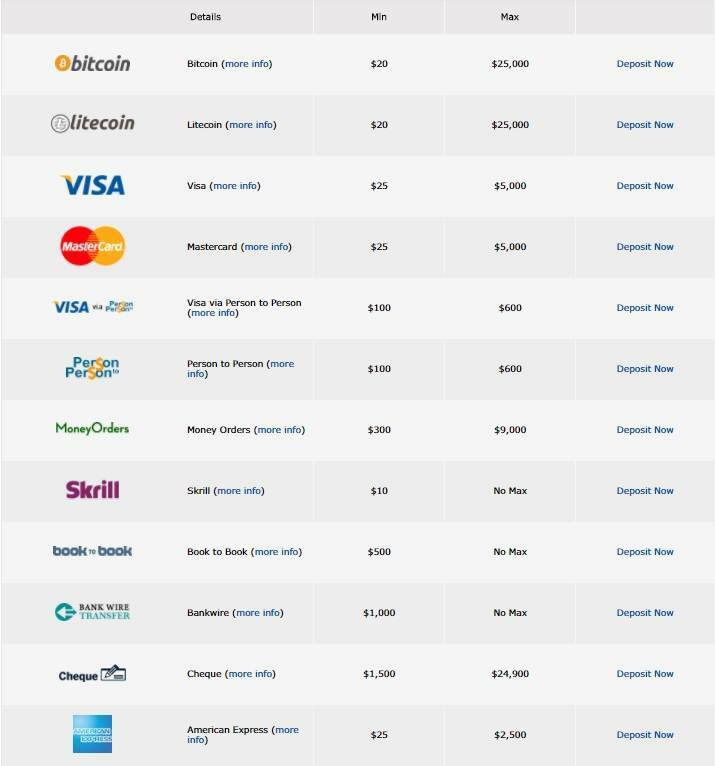 The best part about BTC is that withdrawals are speedy and don’t cost a fortune like some other payout processors do. Every Thursday, you can try to become the Blackjack Boss and take away a prize of up to $1,000. 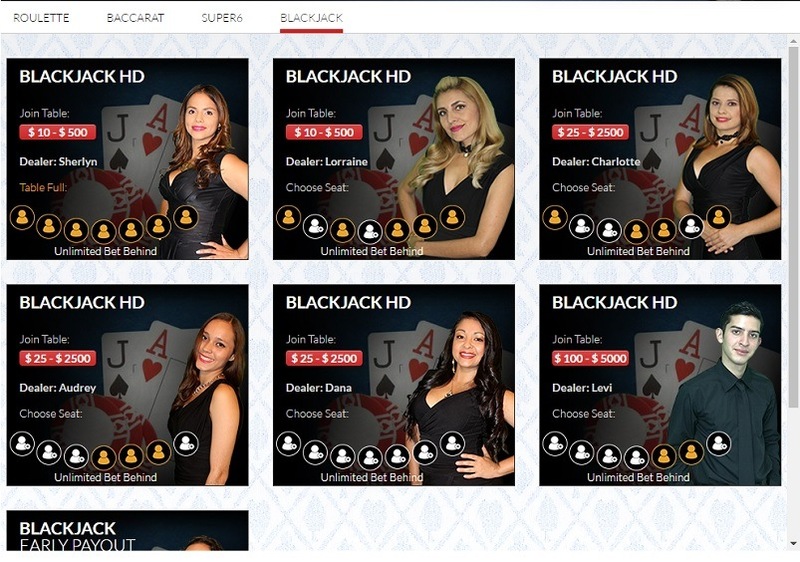 Hit the 6-Deck ($100 Maximum Bet) Multi-Hand Blackjack tables, and play at least 50 hands. As long as you wager at least $1,000 in total, you have a chance to compete for the highest payout percentage among all players that day. The top 10 players will win at least $50 apiece with the big %1,000 prize going to whoever achieves the best payout percentage. The qualifying player with the lowest payout percentage will get a $100 Baby Boss payout. There are no rollover restrictions on money won in the Blackjack Boss contest. If you wager at least $75,000 in a month in the casino, you’ll get 10 free slot machine spins worth $2 each to use at the beginning of the next month. The more you play, the higher the value of your complimentary spins. Those who exceed $1,000,000 gambled during a month get 10 spins of $20 to use. These free spins don’t have any wagering requirements attached to them. 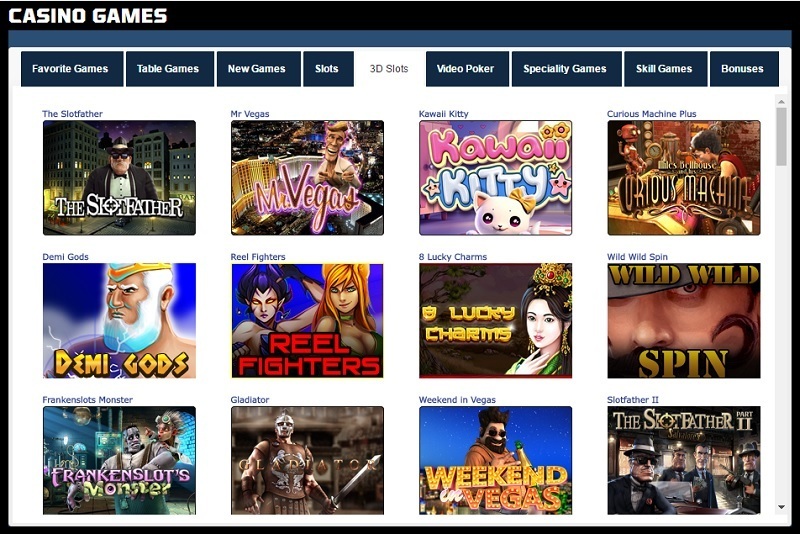 Instead of being restricted to playing when you’re at home in front of your PC, you have the freedom to open up casino games on your mobile wherever you happen to be. The list of titles contained within the mobile lobby isn’t as extensive at that in the desktop version, though, so it’s best to treat it as a supplementary product rather than a complete replacement. 200% up to $5,000 slots bonus at Sportsbetting.ag Casino! Don’t forget about the Sportsbetting.ag Sportsbook! 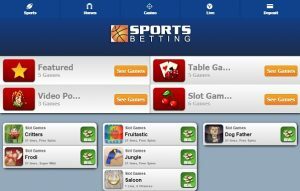 Learn about the Sportsbetting.ag sports promo codes at http://bettingsitesusa.net/sportsbetting-ag-sportsbook-bonus-code/. Find all the latest Sportsbetting.ag Casino promo codes here.